For the entire summer of 2018, we have had a front row seat to the road construction outside of our windows. And while we have said our fair share regarding the traffic backups and navigation difficulties, we are excited to have the finished product be a significantly improved thoroughfare for our neighborhood. Watching the crews work on a day-to-day basis has also taught me a great deal about the similarities of construction crews and financial planning firms. The precise coordination and communication required to ensure that the work is completed safely and correctly was quite impressive. At any given time, there were a handful of massive pieces of machinery working simultaneously, in the same space, within a step or two of each other. The operators, each with their own set of skills and expertise, would work with verbal cues and hand gestures to move jagged concrete pieces the size of a smart car. What does any of this have to do with a financial planning firm, you ask? We feel a well-built financial planning firm should operate in a similar way. Having multiple people with the exact same skill set will only lead to groupthink and overlap. We determine who excels in different areas and divide tasks accordingly. Clint does the majority of trading and portfolio construction. I handle big picture operations including banking and accounting. Jon is an expert in business development and Mitch’s engineering background makes him perfectly suited for day-to-day operations. We all have knowledge and proficiency regarding investment product and financial planning. The utilization of each specific skill set allows us to give the best experience to our clients. 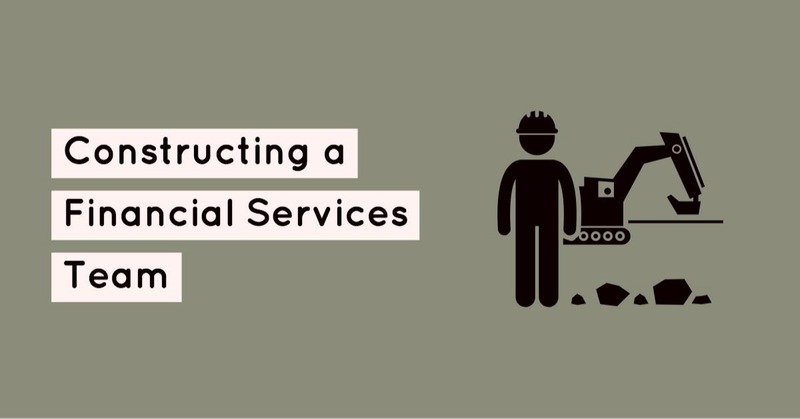 While none of the Walkner Condon team is equipped to operate a backhoe or an earth mover, we do have skill sets that are honed for financial planning. We are humbled by our clients’ commitment to our firm and continue to look for ways to improve the experience. It is also not lost on us the amount of planning and patience required to get to the finished product. As the trucks continue to roll outside of the office, progress is being made but the project is far from complete. We have learned that the same level of patience is required to see a financial plan from start to finish.